This beautiful gold bar of 250 grams (g), or 8,04 ounces (oz), produced by PAMP Suisse is a nice addition to any collector of gold. PAMP Suisse is the world's leading independent refiner of precious metals, with a reputation of international renown. With PAMP Suisse, you can also count on exceptional quality. The price of gold has maintained its value throughout history, and it remains one of the best ways to preserve its heritage. Purchasing a PAMP Suisse gold bullion is the perfect opportunity to invest in gold and/or build a diversified portfolio. This beautiful gold bar of 250 grams (g), or 8,04 ounces (oz), produced by PAMP Suisse is a nice addition to any collector of gold. PAMP Suisse is the world's leading independent refiner of precious metals, with a reputation of international renown. With PAMP Suisse, you can also count on exceptional quality. The price of gold has maintained its value throughout history, and it remains one of the best ways to preserve its heritage. Purchasing a PAMP Suisse gold bullion is the perfect opportunity to invest in gold and/or build a diversified portfolio. Located in the heart of Europe in Canton Ticino, Switzerland, each gold bar has its own serial number, which makes each ingot of gold unique. This gold bullion is decorated with the famous PAMP seal: 4 circles each of which contains a letter of the word PAMP. The gold bar also has such things as the weight of the ingot and the purity. With a purity of 99.99% pure gold, this gold bar is perfect for all collectors, buyers, gold lovers, unique gift givers, or for those who appreciate the simple form of savings. Always be sure to protect your precious metal from fingerprints. We strongly recommend that you wear your gloves to protect yourself from scratches or damage. 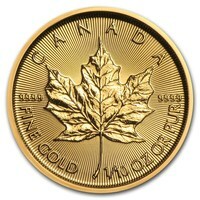 Gold has always been considered the finest of all precious metals, and it remains a prestigious investment to this day. This 250g gold bar is manufactured by PAMP Suisse, a well known independent refinery established in 1977 in Switzerland. They are now one of the leading refiners on the market.